This week we had a challenge: to create large-scale timelines to represent each ancient civilisation. We were given a blank piece of paper and access to all information sources and measurement tools in our classroom. We needed all our Math and research skills to complete the task. 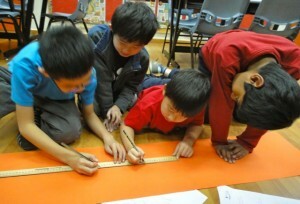 We were marked on understanding of scale, measurement skills, quality of information, presentation and cooperation. We assessed ourselves before Ms O’Dwyer added her comments. What did you enjoy ? What was the hardest part? What did you learn from this task? Now we can compare our timelines to better understand the order, span and key legacies of each civilisation. I enjoyed the part where we dicussed the information and designed it on the paper. The hardest part was that we had to organize ourselves and get started on collecting the information. I learned from this task that living in different ancient civiizations had many difficulties such as wars, dieases and finding items that we need in daily life. 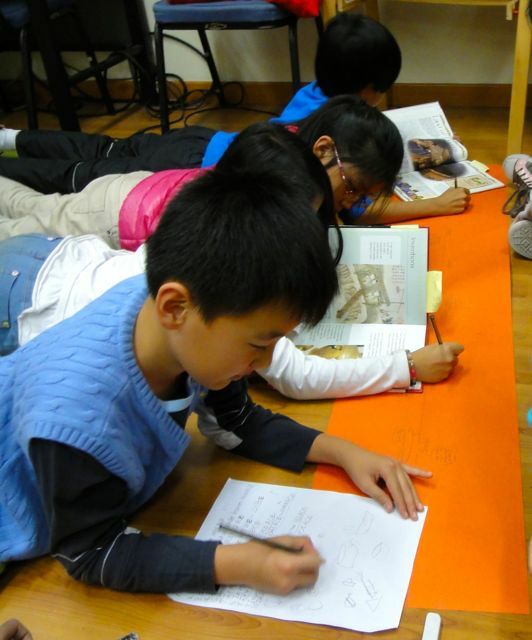 I enjoyed the part when our group made the ancient civilisation on paper. The hardest part was that we spoke Chinese and that meant some team mates in our group didn’t understand. I have learnt how to communicate and how to take notes, too. I have also learnt about the 4 great legacies of Ancient China. It was a fantastic idea to make timelines. It was hard but still it was fun and very cool when we finished and saw them all together. I enjoyed coloring the pictures and writing the information we found, but the hardest part was to find the information and decide where to put it. I learned from this task how make a timeline and how to communicate. 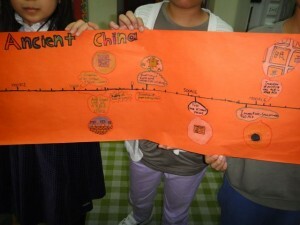 This reminded me of when we were in Grade 3 or 2, we learned about ancient China. It is similar because it is also ancient. It was a great lesson. Our timeline idea was great! It was quite hard, but it was fun. It was good time to learn about ancient Egypt, and it was also a good time to learn about cooperation. Sometimes there was a little fight, but it was fun to make a timeline. We had to find the facts (information) and organise them on paper. Ms.O’Dwyer, do you also have your own timeline?